Dabbawala Biryani is a new kid on the block, and we are loving its biryani variants. 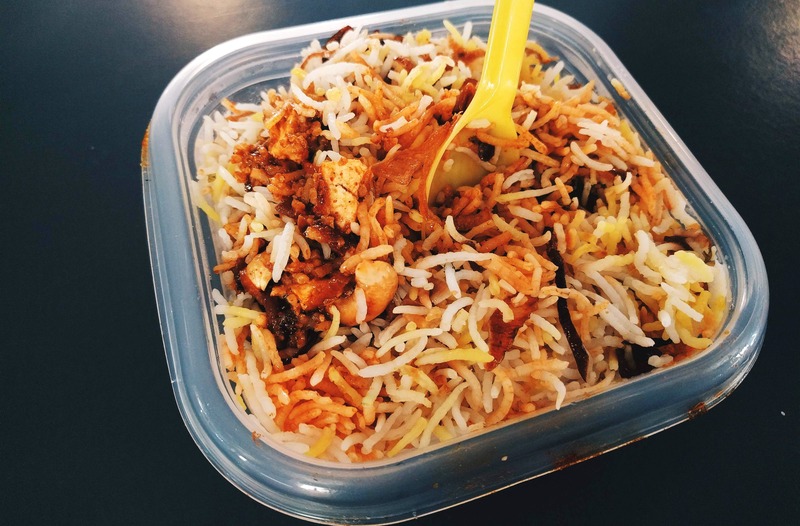 With varieties like Tahiri Biryani, Paneer Biryani, Chicken Dum Biryani, Kolkata Biryani, Malabar Biryani, the food is delivered right at your doorstep. This only-delivery outlet packs your meal in a dabba and its pricing is between INR 79-INR 99. The biryani is spicy and whatever you choose - paneer or chicken, loads of chunks are added, making it a wholesome affair. The raita and salad are packed separately, and honestly, you would not even need them as the biryani is super flavourful. This outlet opens at 11am and runs till 1am. So, the next time you are looking for midnight biryani, and one that doesn't need you to travel to Old City, sort your cravings with Dabbawala Biryani. We thought the biryani was a little oily.